Today is Thanksgiving Sunday in Canada. 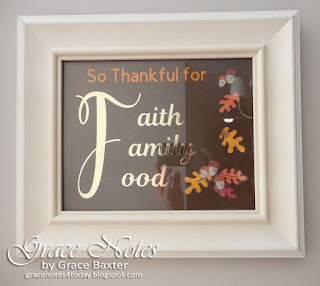 So I thought I would share a little something I made for my dining room. In creating a Thanksgiving phrase to be framed, I wanted to keep it simple. Three words beginning with the same consonant work well together. The artwork size is 8x10 inches. The wide frame gives me more importance. Otherwise I would have used a mat with the frame. 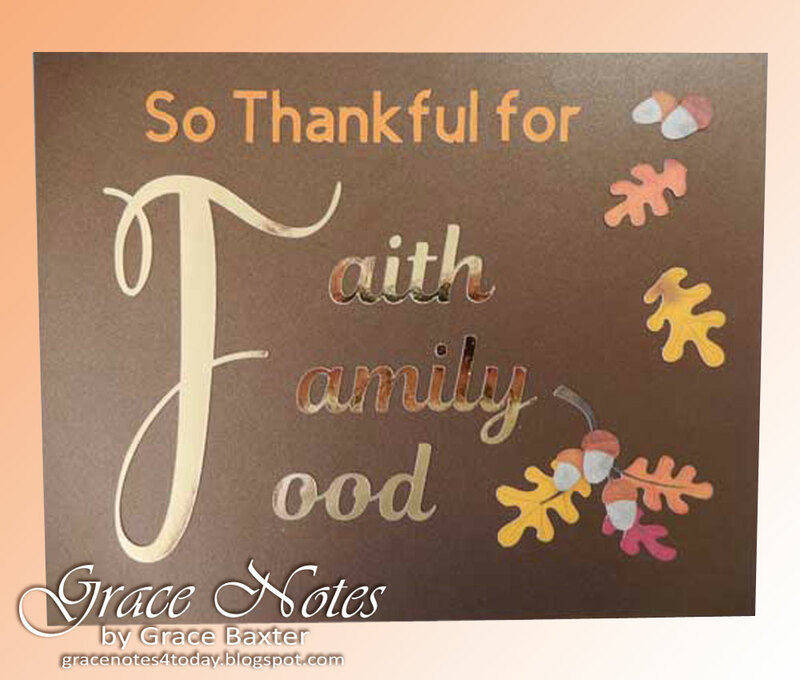 The phrase "So Thankful for" is cut from pumpkin-coloured cardstock. 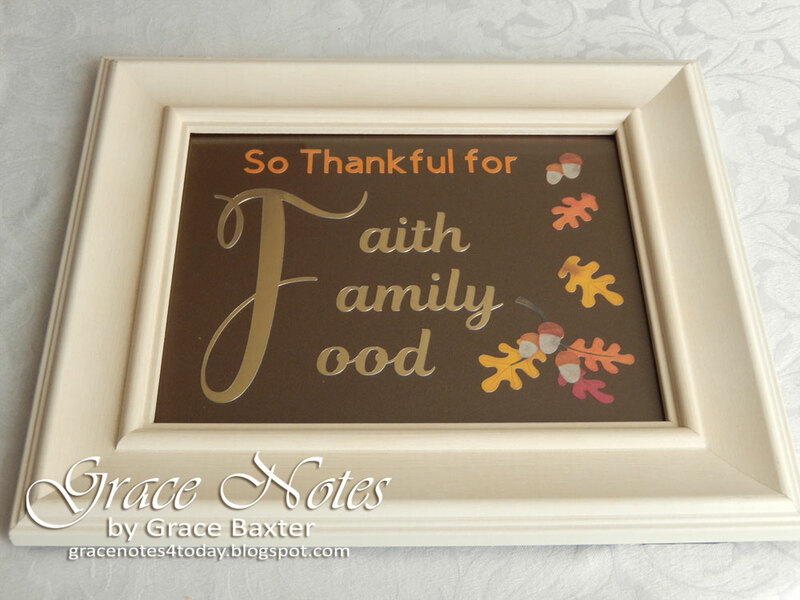 Faith, Family and Food are cut from gold foil.